If you happen to ever go into my closet then you know 3 things are for certain. 1. It so organized I can tell you where everything is. Organization is the key to a stress free life :) 2. It has a various mix of trendy and vintage. 3. I probably own at least 30 of these long vests. I really gravitate toward simple clothes, which is why I love these vests. I can wear them with flats, look put together and with a bootie and be ready for a date! 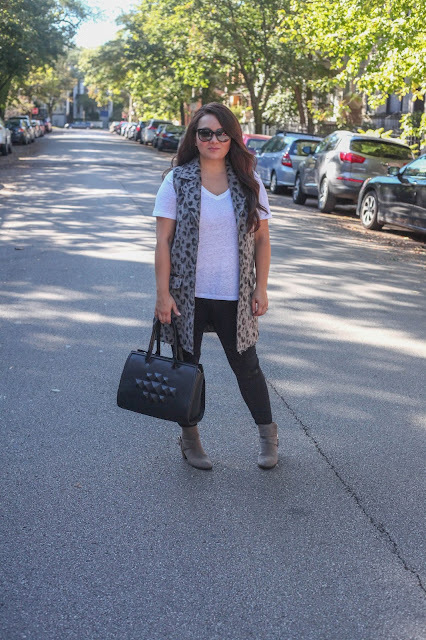 I know being petite can be hard, and these vests can seem overwhelming but if you need some tips this post has it all! 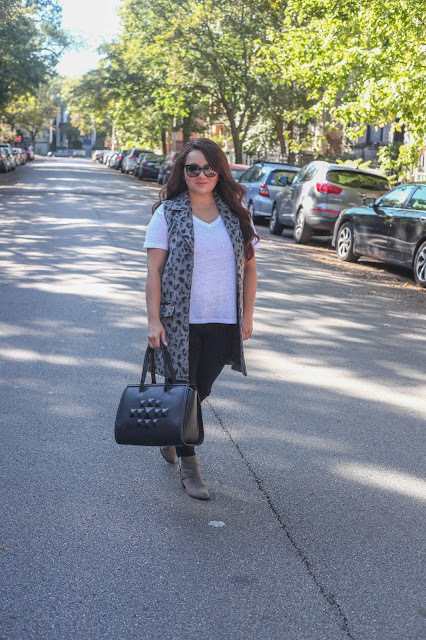 LOOOVE your vest! Soo cute! I'm sure tou have the prettiest collection of vests and jackets! Very nicely styled, I love it! I don't have any vests and clearly I need some because I love this idea of the perfect fall outfit. And I'm all about simple! 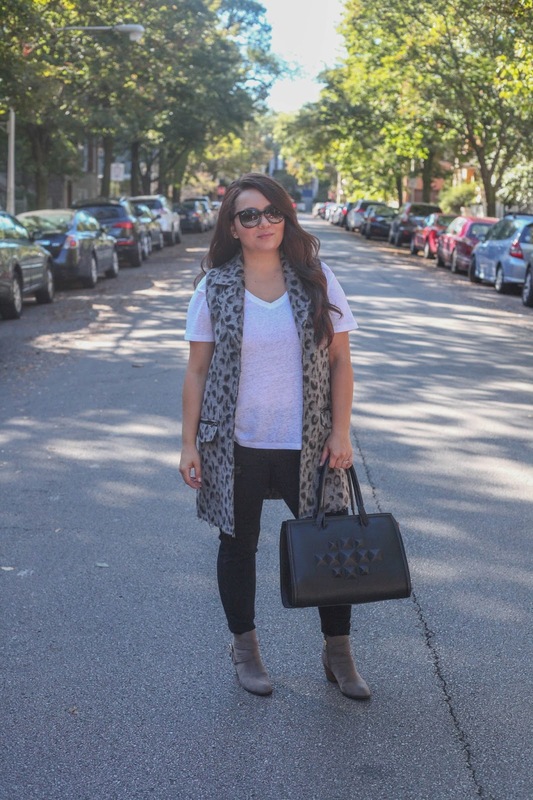 That leopard vest is so cute and a great length! The length is always super important to me! Being petite and all!! I love love love that vest! 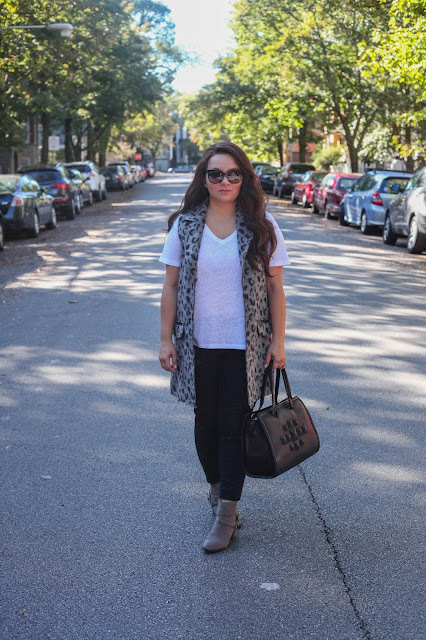 It's always such a challenge to find a vest that hits a the perfect length but this one looks great! Tracy, girl you are speaking to my biggest troubles! I love this one because it's the perfect length!! Such a cute outfit! 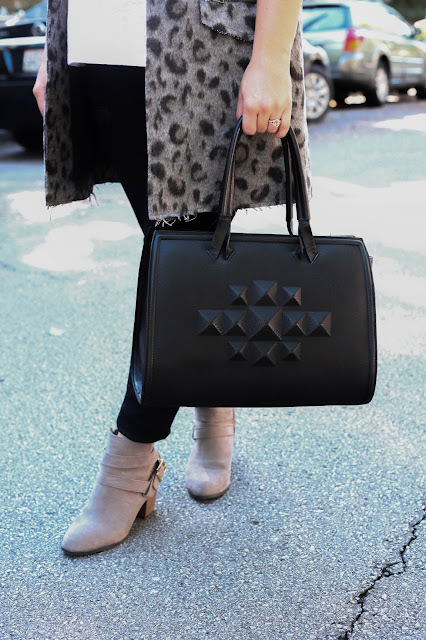 Loving the leopard! Right!! Who doesn't love a good leopard!! What a cool vest, lady- and I just love that bag! 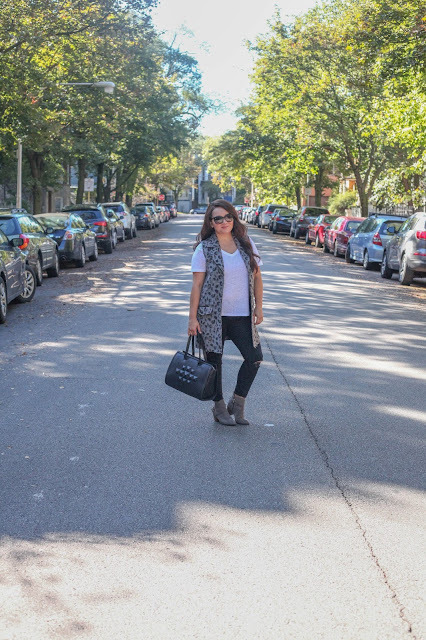 Love how you've styled it with a more simple outfit to make it stand out!